As Poland commemorates the sixth anniversary of the tragic Smolensk crash that killed its 96 passengers, including Polish President Lech Kaczynski and his top officials, some Warsaw officials continue to use wild conspiracy theories as political leverage. 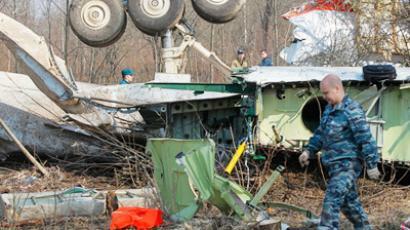 On April 10, 2010 a Polish Tu-154M plane flying from Warsaw to Smolensk, Western Russia, which was carrying President Lech Kaczynski and his wife, the governor of the central bank, all senior military commanders and other high-profile officials, crashed upon landing killing all 96 people on board. A subsequent Russian-Polish investigative team found that the pilots had been under constant pressure and lacked adequate training. They decided to land despite Smolensk air traffic control’s (ATC) warnings to abort the landing because of low visibility and thick fog. During the final descent, electronic awareness systems fired audible alerts: “Terrain ahead,” and “Pull up! Pull up.” The presidential aircraft hit the ground and was torn apart. 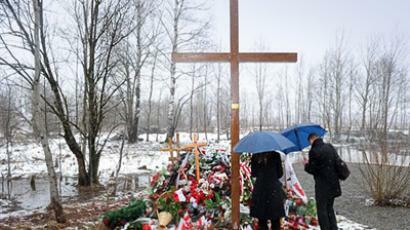 The tragedy made headlines around the globe, causing shock and grief in Poland as well as in Russia. Moscow offered its full cooperation with Polish investigators, providing access to all procedures and documents. In Poland, conspiracy theories began circulating immediately after the crash, claiming that it was an elaborate Russian plot or a coup attempt allegedly orchestrated by Moscow. The twin brother of Lech Kaczynski, Jaroslaw, as well as Antoni Macierewicz, the-then head of controversial parliamentary inquiry and now defense minister, became fierce advocates of groundless assassination theories. These statements spurred wild conspiracy theories offering so-called explanations about what might have killed President Kaczynski and Polish senior officials. The Polish government report claimed that when the plane collided with a tall birch tree, several hundred yards away from the runway, a significant portion of the plane’s wing broke off and the tree itself was damaged. But in 2013, a group of researchers came up with a stunning idea. Chris Cieszewski, a professor of fiber supply assessment at the Center for Forest Business at the University of Georgia, argued that the birch tree was damaged at least five days earlier, with someone climbing it, banging it with a hammer, and chopping it with an ax, Gazeta Wyborczareported. The so-called birch conspiracy suggests that the tree was damaged prior to the crash, with debris inserted into it to mislead the public about the cause of the tragedy. In 2012, the “armored birch” was thoroughly investigated by Poland’s prosecutors who collected its samples, according to Newsweek Polska. Another conspiracy suggests that there was an explosion inside the plane, backed up by some “empirical” evidence. In 2013, Andrzej Ziolkowski, a Polish scholar, used an example of overcooked hot dogs to prove there was an explosion on the plane while it was airborne. The hull cracked lengthwise, he said, which he claims could only have been caused by an internal blast. "We see this when we boil sausages for breakfast," he was quoted by Gazeta Wyborcza, while speaking at a conference organized by Macierewicz’s investigative commission. He presented an image of two hot dogs as an example of how the hull was split. In early 2011, lawyer Marcin Dubienecki who represented Marta Kaczynski, the dead president’s daughter, said there was “no hard evidence that the fog was natural and not sprayed by the Russians,”according to the Wirtualna Polska news outlet. A theory that somebody may have created an artificial fog cloud to disorient Kaczynski’s pilots originally emerged in 2010, when Poland reportedly asked the US to provide satellite imagery on the weather conditions at the time of the crash. Polish prosecutors also wanted to know if “there is a scientific and technical capacity to generate artificial fog,”The Telegraphreported. 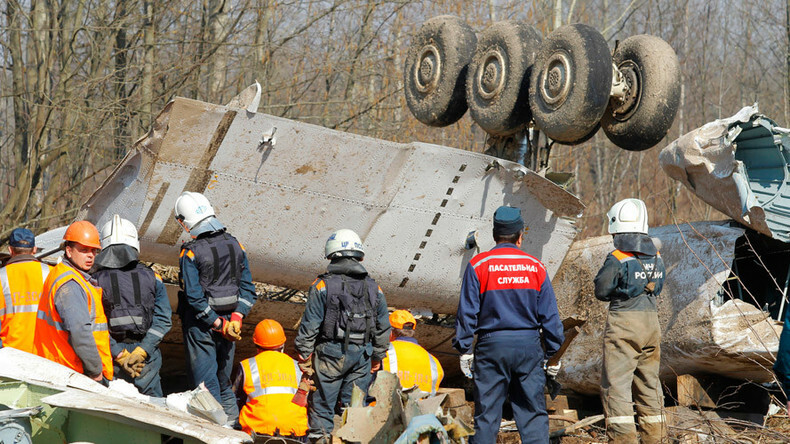 Wirtualna Polska also wrote that biochemical analysis of soil samples had not been carried out after the crash and speculated whether the presence of the Russian IL-76 – which also tried to land in Smolensk but had been diverted due to bad weather – could have contributed to the weather conditions. Conspiracy theories about the Smolensk crash were actually taken seriously by some Poles, and amazingly was used as political leverage by Warsaw. In 2010, relations between Jaroslaw Kaczynski and Donald Tusk's center-right government were strained. Two years after the Smolensk crash, Kaczynski said that Tusk – now President of the European Commission – bears the utmost responsibility for the disaster. He also insisted that it was him who covered up some “important details” of the Smolensk tragedy. Macierewicz, a crusading military chief, has recently said that the crash was a “terror attack” targeting the country’s leadership. Later in March, several high-profile figures faced charges for the “negligent” organization of the 2010 flight. The most senior among them was Tomasz Arabski, former head of PM Tusk’s chancellery and two officials, named Monika B. and Mirosław K., who worked in Tusk’s team at that time.